CALL OUT FOR INTERNATIONAL SOLIDARITY, TAKE ACTION IN SUPPORT OF THE ACTIVISTS IN COPENHAGEN FACING A POLICE STATE ON WEDNESDAY! Pourquoi nous avons occupé l’Institut Culturel Italien de Paris. 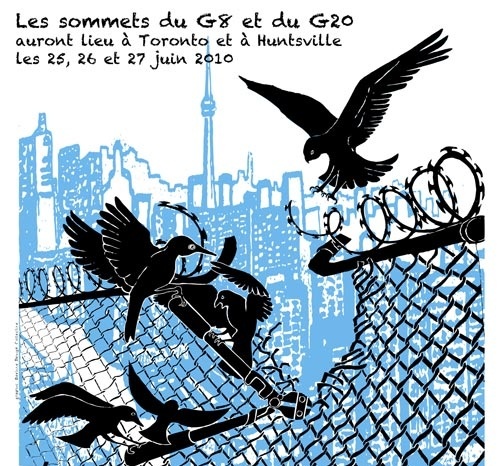 Solidarité aux inculpés du G8 de Gênes 2001. A decade ago, tens of thousands of people converged in Seattle, Washington to protest the ministerial meeting of the World Trade Organization. Directly confronting some of the planet's most powerful corporations, governments and security forces, those activists made history by successfully derailing the WTO’s expansionist agenda.